The University of Illinois Asian American Alumni Network (UIAAAN) creates a supportive, global network of Asian and Asian American alumni and facilitates positive change worldwide and encourages and nurtures meaningful relationships to create a supportive community of Asian and Asian American alumni and students by providing comprehensive programming and opportunities that illustrate University of Illinois pride. The mission of the Bands Alumni is to support the Bands at the University of Illinois, to cultivate friendship among club members, to have fun performing, and to express our Illinois Loyalty. We seek to serve these goals through a variety of musical, educational, and social programs. Participating in Bands Alumni activities provides a great way to reconnect with old friends from our days on-campus and to get to know new bands alumni . Bands Alumni can also expand their social and professional networks, and perform! Everyone who has performed with a University Band is welcome, including Concert Band members, Marching Illini instrumentalists, drumline, flag corps, Illinettes, featured twirlers, all students who portrayed Chief Illiniwek, Basketball Band members, and all friends of the University of Illinois Bands. The Black Alumni Advisory Council is an advisory group for black alumni, current students, staff and faculty at the University of Illinois at Chicago. 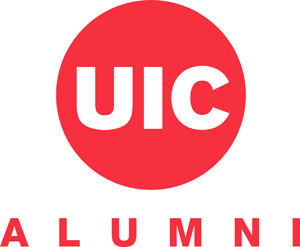 The group's purpose is to build a lasting and meaningful connection between UIC and UIC's black alumni, students, staff and faculty. BAN's mission is to provide comprehensive program opportunities (i.e. social, educational, professional, and service) for alumni, students, and faculty, of the University of Illinois at Urbana-Champaign, which foster a stronger relationship between these groups, School, and community. Mission Statement. To facilitate networking opportunities between Black alumni, Black students, faculty and staff, by hosting activities as well as serving as a resource bank for exchanging career and other pertinent information to all constituencies and stakeholders. 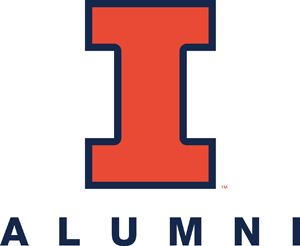 The Jewish Alumni Network (JAN) helps establish relationships between current and future University of Illinois alumni, and develops networks within the larger University of Illinois and global Jewish communities. JAN provides opportunities and programs that enhance the ways in which individuals identify Jewishly, and creates, supports, and fosters vibrant and diverse Jewish life and culture as alumni integrate into communities worldwide. JAN promotes unity and maintains communications among Jewish alumni and friends of UIUC, and mentors and assists newer alumni with their integration into the working world. Membership is open to all UIUC alumni, friends of UIUC, current or retired faculty and staff, and current UIUC students in their final semester (cumulatively, “alumni”). While there is an application process to become a member of JAN, there is no membership cost to join JAN. The mission of the Latina-Latino Alumni Association is to establish, maintain and promote a network for the empowerment and advancement of Latina/Latino alumni, students, faculty and staff at the University of Illinois at Urbana-Champaign and beyond. The groups professional network aims to help and support University of Illinois alumni in the professional realm as well as help and support current University of Illinois students in their efforts to obtain a university degree. Our Web site details some of the professional networking events IllinoisLLAA has sponsored since its inception, and it also describes our members’ participation in student mentorship efforts and our organization’s establishment of student scholarship programs. The University of Illinois Real Estate Forum (UIRE) has fostered a community of real estate professionals, joined by a common University of Illinois heritage, with the objective of improving practitioners’ careers while giving back to the College of Business, specifically, the real estate discipline. UIRE remains committed to providing financial support to Illinois real estate students while developing an effective network of Illinois alumni in the real estate industry. Each year, we hold networking events, panel speakers, fundraisers, and mentorships with the aim of connecting with fellow Illini students and alumni. Illini Alumni Veterans is an alumni affiliate of the University of Illinois Alumni Association that recognizes the service and sacrifice of veterans who have attended the University of Illinois. As an affiliate group, we seek to unite veteran alumni members and provide them with the opportunities, tools and supports that will help them be successful after graduation. We also stand ready to support current student veterans with the assistance and guidance they need to be successful in completing their chosen degree programs. We are stronger together, a band of brothers and sisters, here for each other.